We specialize in custom website development and internet marketing for businesses of all sizes. We offer SEO, social media promotion, and pay per click advertising support to help gain new customers for your business! 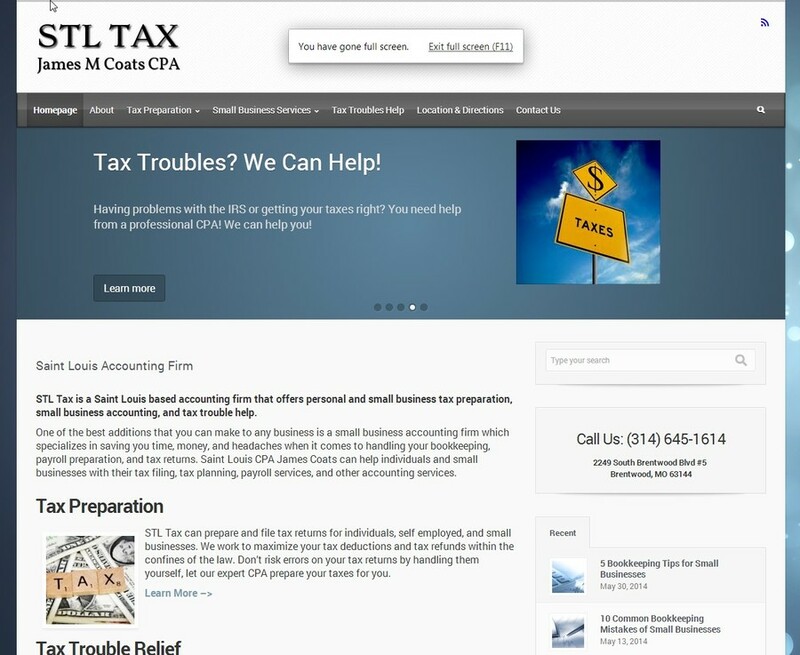 Screenshot of website created for Saint Louis area accounting service STL Tax. Website created using Wordpress. We also provide internet marketing including SEO, social media promotion, and PPC advertising for this business.